Growing evidence suggests that sports-related concussions (SRC) may lead to acute changes in intrinsic functional connectivity, although most studies to date have been cross-sectional in nature with relatively modest sample sizes. We longitudinally assessed changes in local and global resting state functional connectivity using metrics that do not require a priori seed or network selection (regional homogeneity; ReHo and global brain connectivity; GBC, respectively). A large sample of collegiate athletes (N = 43) was assessed approximately one day (1.74 days post-injury, N = 34), one week (8.44 days, N = 34), and one month post-concussion (32.47 days, N = 30). Healthy contact sport-athletes served as controls (N = 51). Concussed athletes showed improvement in mood symptoms at each time point (p’s < 0.05), but had significantly higher mood scores than healthy athletes at every time point (p’s < 0.05). In contrast, self-reported symptoms and cognitive deficits improved over time following concussion (p’s < 0.001), returning to healthy levels by one week post-concussion. ReHo in sensorimotor, visual, and temporal cortices increased over time post-concussion, and was greatest at one month post-injury. Conversely, ReHo in the frontal cortex decreased over time following SRC, with the greatest decrease evident at one month post-concussion. Differences in ReHo relative to healthy athletes were primarily observed at one month post-concussion rather than the more acute time points. Contrary to our hypothesis, no significant cross-sectional or longitudinal differences in GBC were observed. These results are suggestive of a delayed onset of local connectivity changes following SRC. The online version of this article (doi: 10.1007/s11682-016-9520-y) contains supplementary material, which is available to authorized users. This research was conducted using internal funds from the Laureate Institute for Brain Research, which is supported by The William K. Warren Foundation. The funder had no role in the design and conduct of the study; collection, management, analysis, and interpretation of the data; and preparation, review, or approval of the manuscript. Dr. Meier had full access to all of the data in the study and takes responsibility for the integrity of the data and the accuracy of the data analysis. The authors thank the psychiatric assessment team, the MRI technicians, and Dr. Rashmi Singh at the Laureate Institute for Brain Research for their assistance in data collection and Christopher Nerio, David Polanski, Dr. Thomas Allen, and Dr. Lamont Cavanagh for athlete referral and injury oversight. The authors declare that they have no conflict of interest. This article was prepared while Dr. Bellgowan was employed at The National Institute of Neurological Disorders and Stroke. The opinions expressed in this article are the author’s own and do not reflect the view of the National Institutes of Health, the Department of Health and Human Services, or the United States government. All procedures performed were in accordance with the ethical standards of the institutional and national research committee and with the 1964 Helsinki declaration and its later amendments or comparable ethical standards. Cernich, A., Reeves, D., Sun, W., & Bleiberg, J. (2007). Automated neuropsychological assessment metrics sports medicine battery. Arch Clin Neuropsychol, 22 Suppl 1, S101-114. doi: 10.1016/j.acn.2006.10.008. Czerniak, S.M., Sikoglu, E.M., Liso Navarro, A.A., McCafferty, J., Eisenstock, J., Stevenson, J. H., et al. (2015). A resting state functional magnetic resonance imaging study of concussion in collegiate athletes. 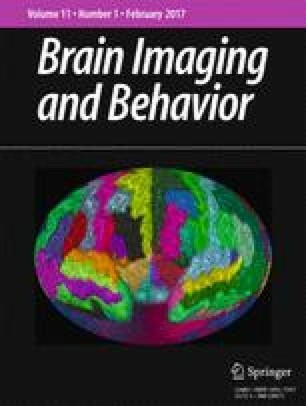 Brain Imaging and Behavior, 9(2), 323–332. doi: 10.1007/s11682-014-9312-1. Giza, C. C., & Hovda, D. A. (2014). The new neurometabolic cascade of concussion. Neurosurgery, 75 Suppl 4, S24-33. doi: 10.1227/NEU.0000000000000505. Johnson, B., Neuberger, T., Gay, M., Hallett, M., & Slobounov, S. (2014). Effects of subconcussive head trauma on the default mode network of the brain. Journal of Neurotrauma, 31(23), 1907–1913. doi: 10.1089/neu.2014.3415.